Pat Boylan is in his fifth season as the host and sideline reporter for the Pacers radio network, he contributes as a broadcaster for Pacers telecasts on Fox Sports Indiana. 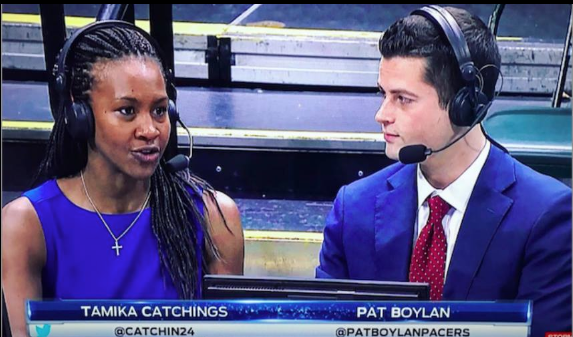 Boylan is the TV Play-by-Play voice of the WNBA's Indiana Fever. He will enter his fifth season announcing for the team, taking over full-time in 2018. He is also a TV and Radio broadcaster for IHSAA State Finals broadcasts. Boylan was named to the Sports Talent Agency of America's Top 30 Sports Broadcasters Under 30 in 2018.